The singer and actress is a powerhouse of entertainment and should be celebrated and appreciated as such. The first time I heard Janelle Monáe’s Q.U.E.E.N featuring Erykah Badu, I was gagged. It was such a bop, but it also had such great lyrics like: Even if it makes others uncomfortable/ I wanna love who I am/ Even if it makes other uncomfortable/ I will love who I am. I was immediately hooked by this beautiful person who could sing and dance and was just different from what so many pop stars are doing nowadays. That was a few years ago, since Janelle has released another album (2018’s Dirty Computer) and has come to be well known for both her singing and acting as well as amazing style. But here are just a few of the reasons I love this woman and her art. And why you should too. Janelle is an afrofuturist (if you have no idea what that is, here’s an article from Huffpost explaining it) and celebrates that by using lots of references to Africa and her African heritage, by using lots of black women in her videos (like actress Tessa Thompson who was featured in two of her videos from Dirty Computer so far. She says that the video for her song PYNK was meant to celebrate those that are often mariginalised and to celebrate #BlackGirlMagic. Janelle likes to keep it monochrome with the occasional pop of colour, but she makes sure to show us that doesn’t mean her outfits have to be boring. 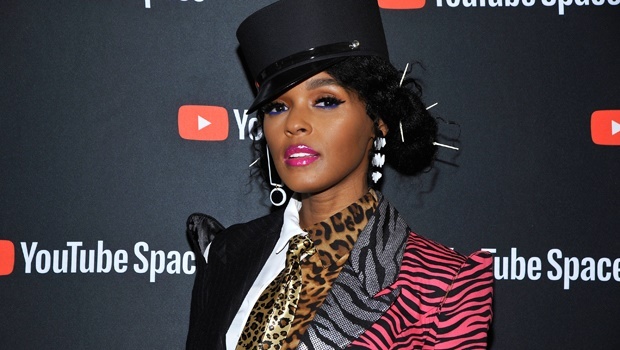 When asked in 2012 why she stuck to monochrome, Janelle revealed that it was a reference to her working class past and that of her family as well. "When I started my musical career I was a maid. I used to clean houses," she said at the BET "Black Girls Rock!" awards. "My mother was a proud janitor, my stepfather […] worked at the post office, and my father was a trash man. They all wore uniforms, and that's why I stand here today in my black and white. I wear my uniform to honour them. This is a reminder that I have work to do, I have people to uplift, I have people to inspire." Janelle has great singing chops, but she can also rap as evidenced in one of her latest songs Django Jane. Plus she’s also an amazing actress having been in Hidden Figures and Moonlight back in 2017, both of which were Oscar nominated with Moonlight winning Best Picture. With lyrics like You cannot police me/ so get off my areola from Yoga and Pink like the lips around your, maybe/ Pink like the skin that's under, baby /Pink where it's deepest inside, crazy/ Pink beyond forest and thighs, from PYNK she’s not afraid to talk about important issues or use risqué language to get her point across. She’s a fantastic dancer, a great singer and she can wear the hell out of a suit, but all that was really showcased when she delivered her tribute to her friend and mentor Prince at the 2016 BET awards where she stole the show with her performance. BET AWARDS 2016 HQ Prince Tribute 4: Janelle Monae - Delirious, Kiss, Pop Life, I Would Die 4 U from Tom de Groot on Vimeo. Janelle recently came out to Rolling Stone as pansexual after years of not wanting to talk about her sexuality. 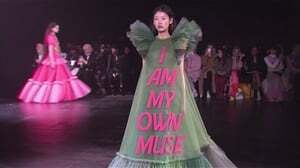 She says in the interview: "I want young girls, young boys, nonbinary, gay, straight, queer people who are having a hard time dealing with their sexuality, dealing with feeling ostracized or bullied for just being their unique selves, to know that I see you. This album is for you. Be proud." READ MORE: Genderqueer, trans or pansexual - what does it all mean? 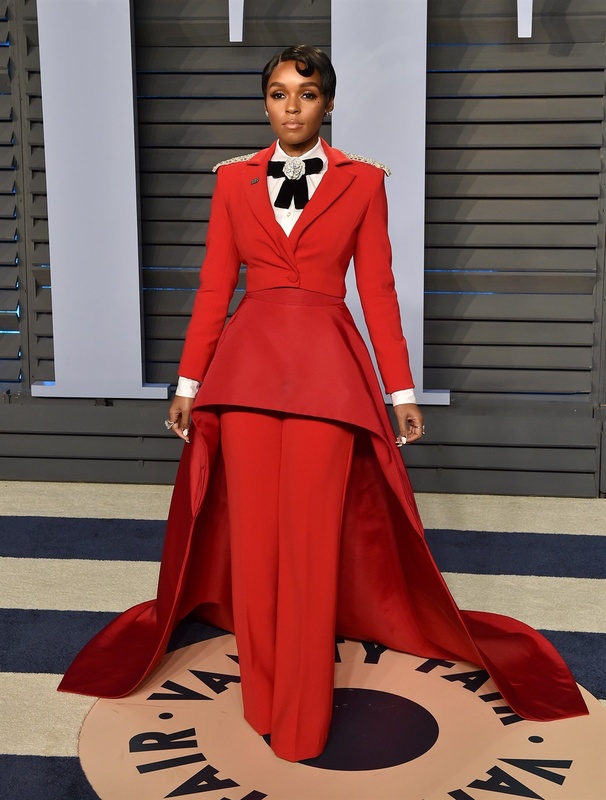 All in all, Janelle Monáe is super cool and we all need to bow down to the goddess that she is.